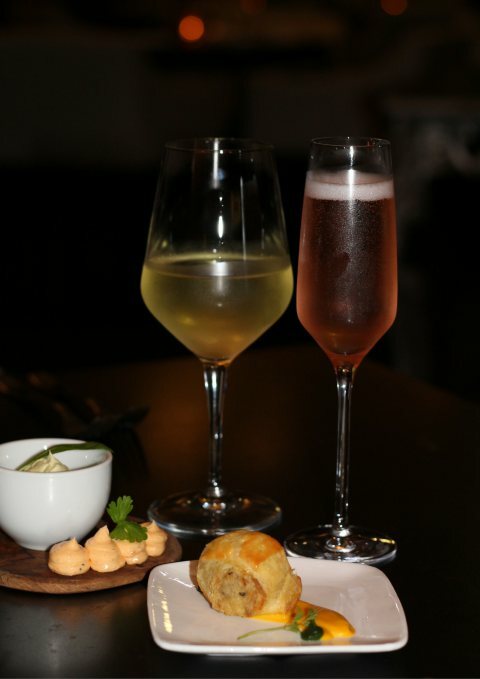 South Africa is known for having some of the top restaurants in the world and if you ever visit Cape Town and you are looking for a fine dining experience, Dash Restaurant at the Queen Victoria Hotel will turn your food journey into a work of art. Dash was the name of Queen Victoria's favourite pet but don't let the cute name fool you. 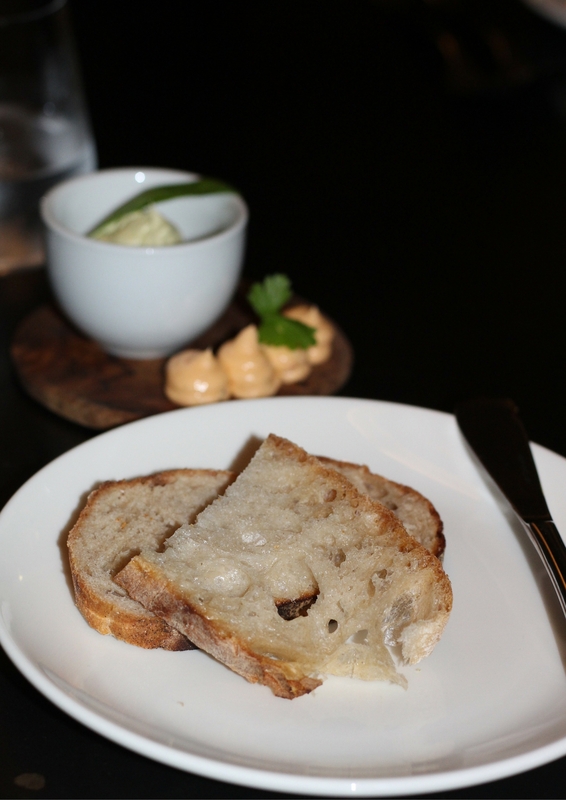 Dash is sophisticated, stylish yet relaxed space where you can enjoy quality food with a touch of drama. The lovely Irene greeted us as we arrived at Dash and her positive vibe together with her great knowledge of food and wine definitely added to a memorable food experience. 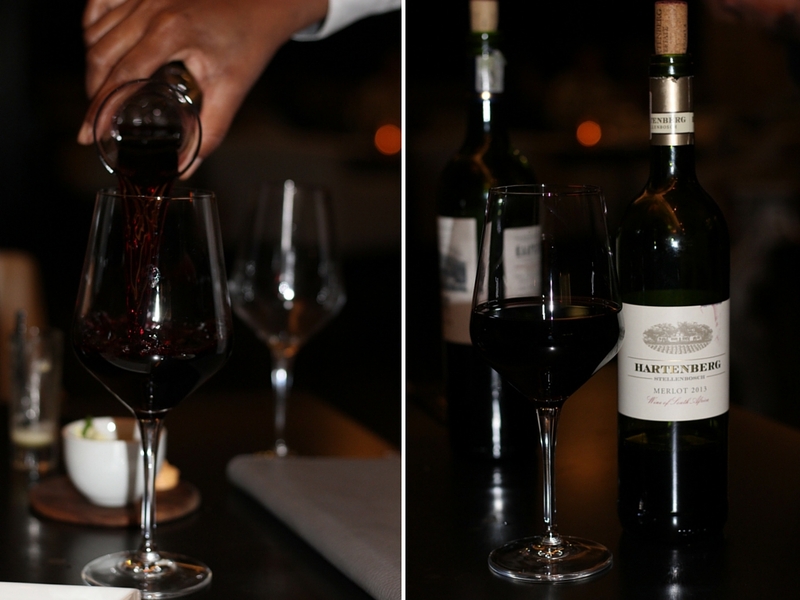 Our dinner was paired with some of South Africa's best wines as recommended by Irene and it complimented the food beautifully. 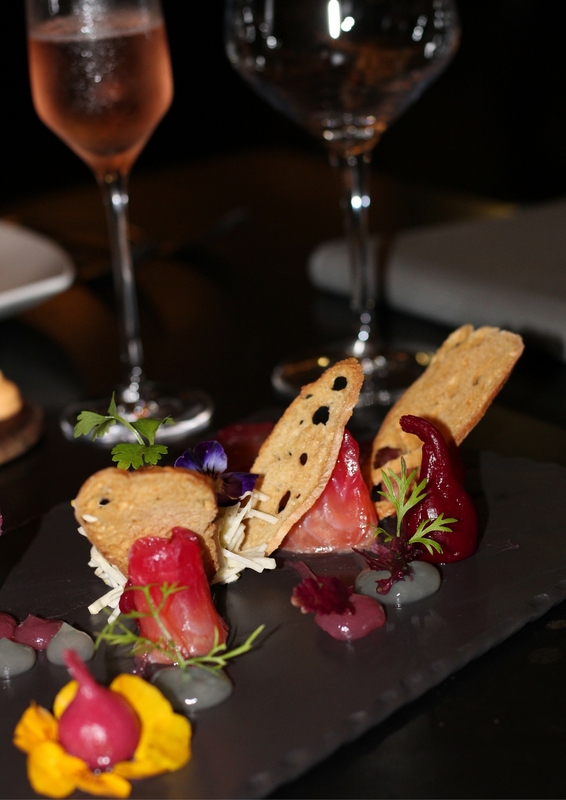 Beetroot cured salmon with horseradish apple slaw and bread crisps. 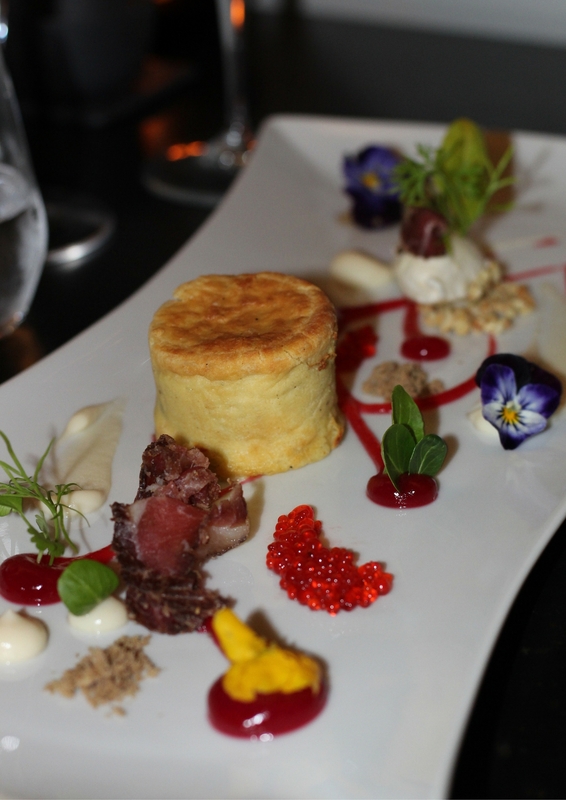 Double-baked Gorgonzola souffle with biltong shavings and hazelnuts - highly recommended! 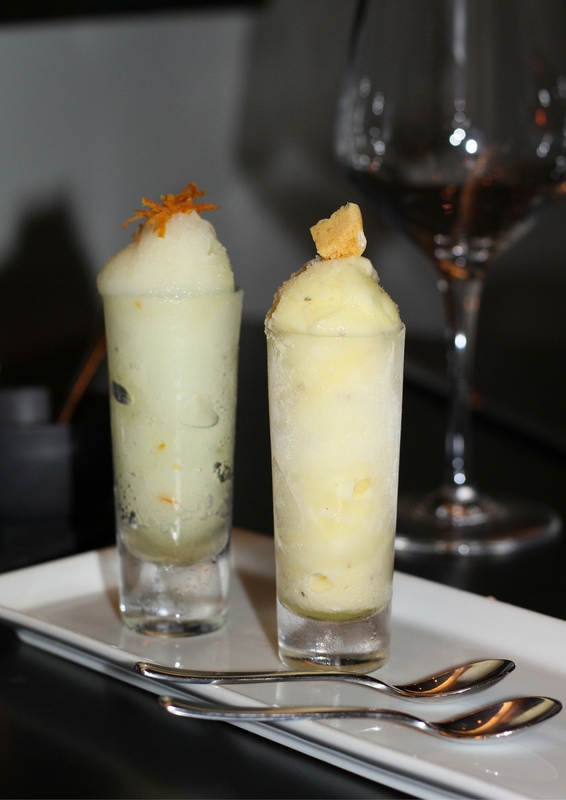 Seasonal sorbet to cleanse the palette - here we have orange and passion fruit flavours. 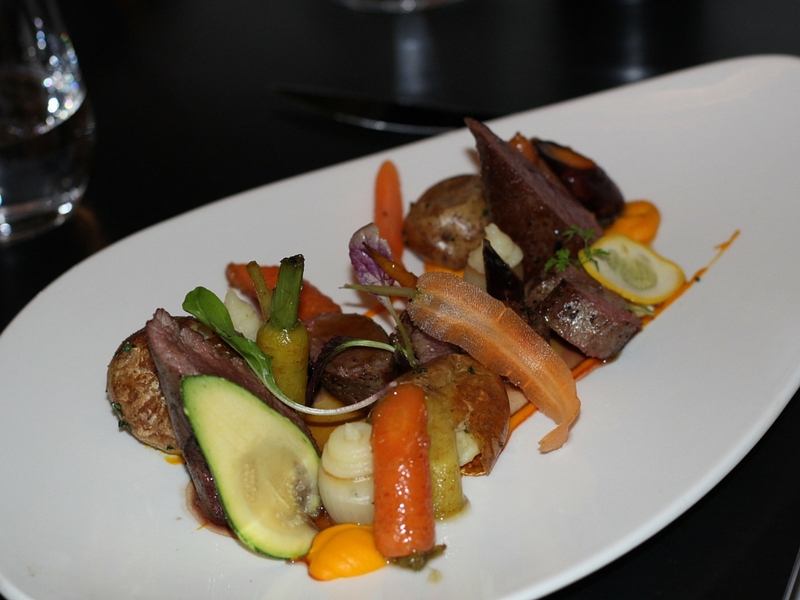 Pan fried loin of venison (Springbok) with parsley mash and carrot puree. 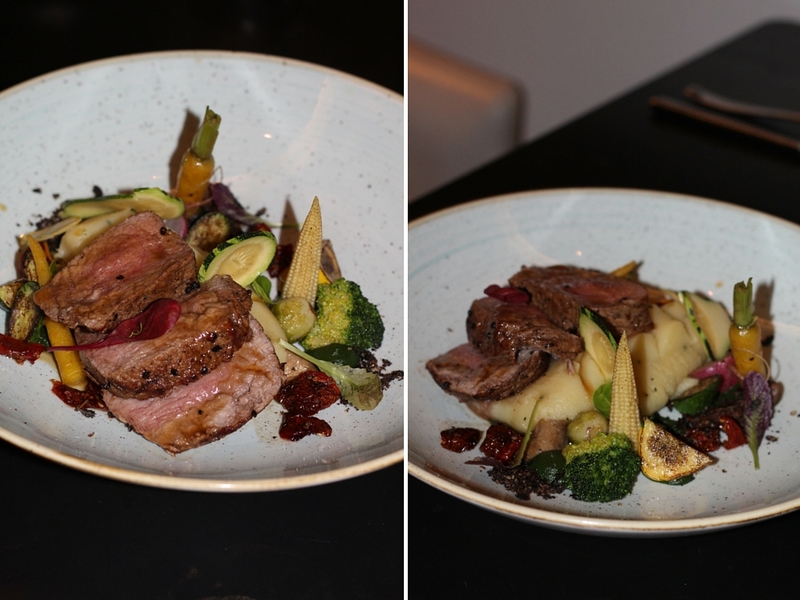 Grilled fillet of beef with spinach puree, a melange of vegetables and jus. 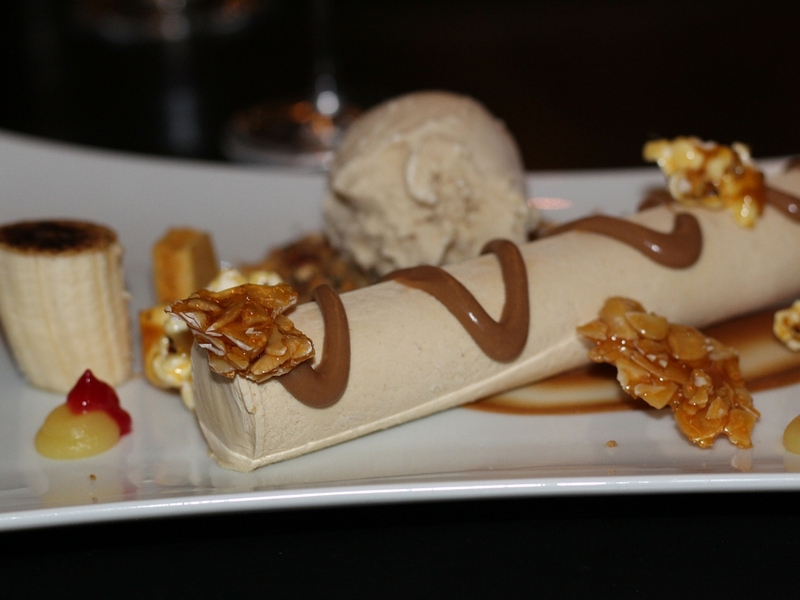 Banana parfait with butterscotch sauce and banoffee. Hot chocolate fondant with orange ice-cream and bitter sugar brittle. Thank you to our lovely waitress, Priscar for taking such good care of us and to Dash restaurant for a memorable food experience. 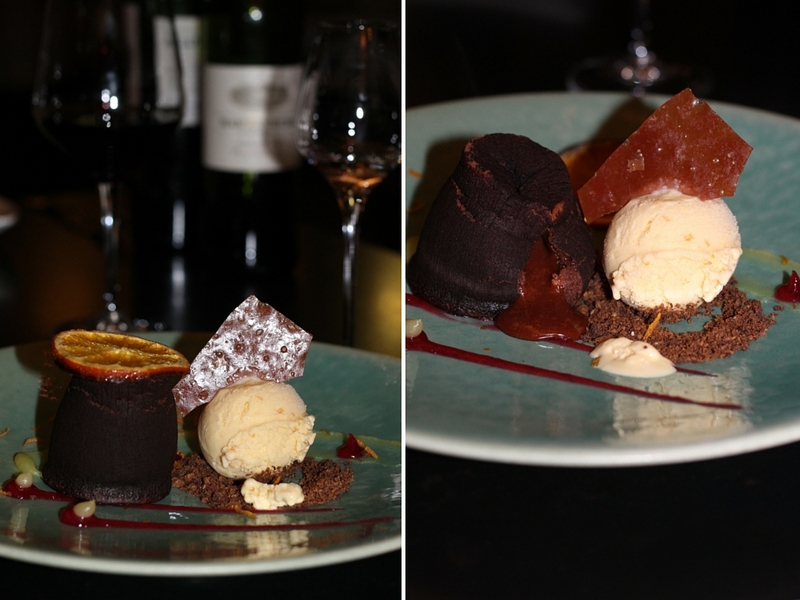 To make your booking at Dash restaurant, contact them at Tel: +27 21 418 1466 or visit their website here. 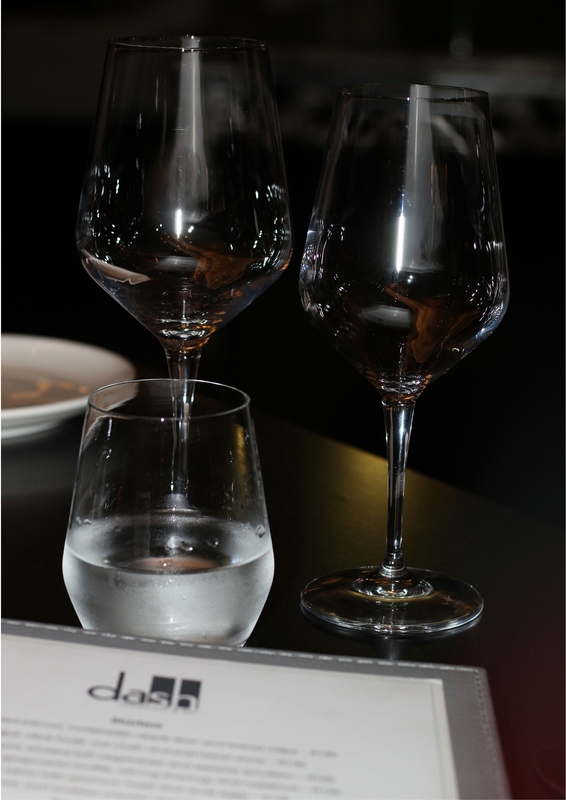 No comments yet on Dining at Dash Restaurant and Bar, Cape Town .